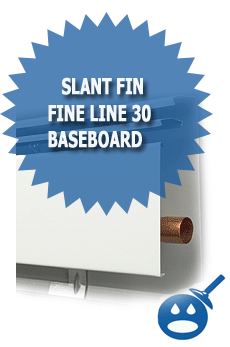 Slant Fine Fine/Line 30 Baseboard system is one of most reliable systems in the baseboard industry. The Slant Fin Fine/ Line 30 Baseboard is perfect for residential homes, apartment buildings and even for some light commercial offices. Why should you choose Slant Fin Fine/Line 30? The Fine/Line 30 has high strength support brackets, perhaps on the strongest in the business. Once these baseboards go up they don’t come down. Another reason to choose Slant Fin Fine/Line 30 is the strong enclosures; they do not bend and will not warp after a few years of use.The third best reason to choose Slant Fin Fine/Line 30 is they are made from galvanized steel. It is rust and corrosion proof, making the Fine/Line 30 reliable and long lasting. They even will look great in any room of your home. The Fine/Line 30 has a high performance-heating element. Some heating elements don’t work up to their capacity but with Slant Fin you can rest assured that you will be reliable heat every time. 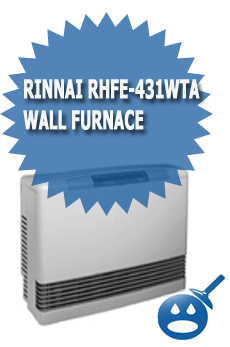 One of the best features of this heating system is that it is a quiet running system. 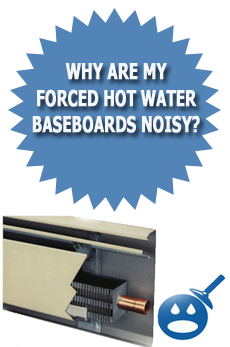 Other baseboards can become noisy from the metal on metal installation. But Slant Fin Fine/Line 30 does not make any noise because the heating elements are self-adjusting and will not move in the enclosure. Slant Fin Fine/Line 30 come in pre-cut lengths of 2 feet and 14 feet. They have some very interesting features, they come with exceptional strong enclosures that will never bend or warp. The enclosures are made from galvanized steel that has NU-White enamel, which protects the enclosure from rust and corrosion while staying visually appealing. The Slant Fin Fine/ Line 30 Baseboard uses a 1-3/4 inch floor to front cover opening which allows the air to circulate better, in turn you will see more room coverage for heating. The dampers are fully modulating which helps with the control of each room’s temperature. When you use a system like duct and forced air, each room has to receive the same temperature. By using baseboard, it will save you money because not every room is used at once and you can lower the heat when you are not in that room. The Slant Fin Fine/ Line 30 Baseboard comes with the pre-cut baseboards along with these important elements, rounded end caps for safety, rounded outside corners which are good for homes that have children, they won’t get hurt by touching the ends of the enclosures. 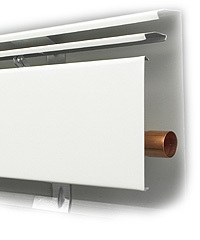 The Fine/Line 30 also comes with Solid Wall Trim, Back Panels, Zone Valve Box and Valve Covers. As the heating elements heat up the valve, which is located under the enclosure, may become hot, the Valve Box protects them, so children or pets will not get burned if they are near the baseboard. 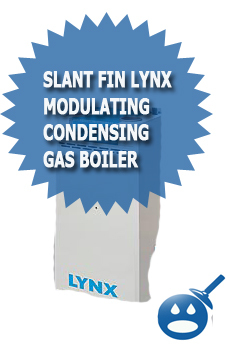 Slant Fin includes everything you will need to have the tech install your new heating system. They will never have to come back because they don’t have the right parts. That could take a lot of stress from you. I saw your baseboard covers in Home Depot and they were listed as rust resistant. I want rust proof, as your website states. Where can I purchase the water proof units? I live in Northern New Jersey.